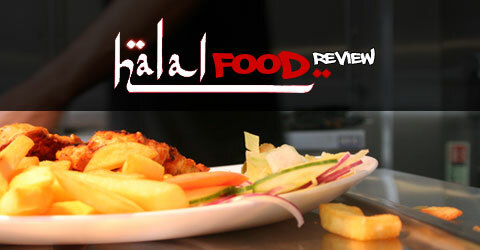 With the rapid growth of the halal food scene in Birmingham there is only so much food one reviewer can eat! So when we got an email in our inbox telling us that the team at the Musk and Moccasin blog had been updated to include a review of Tinseltown we couldn’t open the link quick enough! For those of you who don’t follow it, its a great blog with contributions from some really interesting people, share the love and give them a follow and add them to your blogroll. It came on our radar as one of their writers is someone we regularly interact with on Twitter. The review is beautifully written so why duplicate a good thing when Wali Khan has done the job already. So over to you Wali Khan…. Anyone who knows me personally knows I take my food seriously. I’m not into expensive cuisine but I like a proper meal and one that’s worth its money. On occasion, a nice relatively expensive dinner with friends, at about £30+ per head (OK I haven’t done Michelin Stars yet), isn’t too bad – especially when the food is amazing and the company with friends is even better. I like my local chippy just as much; ideal for when you want a quick bite to eat – the freshly made chips and the donner kebab sizzling away in the polystyrene container… perfection, my mouth is salivating at the thought (even though some would gasp at the thought!). More recently however, those of us in Birmingham, have experienced a boom in the halal restaurant game. A few years back, Nandos (controversially) announced it is to do halal chicken, and KFC followed soon after. Add to this the myriad indian restaurants, steak houses and other food joints dotted around the city, you soon begin to realise that us Brummies spend quite a lot of our hard-earned cash on food. Right, onto Tinseltown. Tinseltown is a well established brand that has recently branched out by opening it’s doors to the Birmingham crowd in Star City. It’s an American Diner style restaurant serving anything from steak to burgers and everything in-between. As you approach the restaurant, the decor is quite sleek, modern and grey. Take a few steps inside and you’ll soon see photos of Hollywood stars dotted around the place (hence the name). As you get shown to your seat, and get told to remember your table number when you order, the waitress (more than probably from an Eastern European country – nothing against this, I actually find it quite nice *wink wink*) will hand you a menu. My friends and I have been twice since the opening and on both occasions, our eyes got hungrier than our stomachs. The menu looks brilliant and the variety of choice is actually amazing. Then you get to the milkshakes section and you can’t help but want one just to see if the hype is true – everyone says Tinseltown’s milkshakes are good, and my God, I’ve so far only tasted the Ferrero Rocher one and it is to die for! So what about the food I hear you cry….. click here to read on!